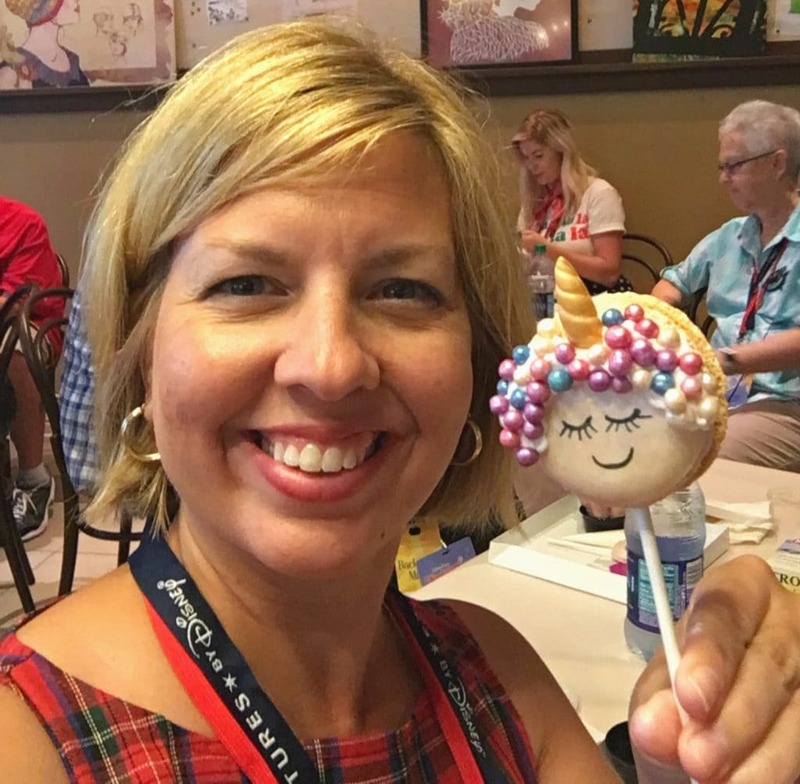 When you think of Adventures by Disney tours, you might instantly imagine the week-long tours in faraway places that are on your travel bucket list. 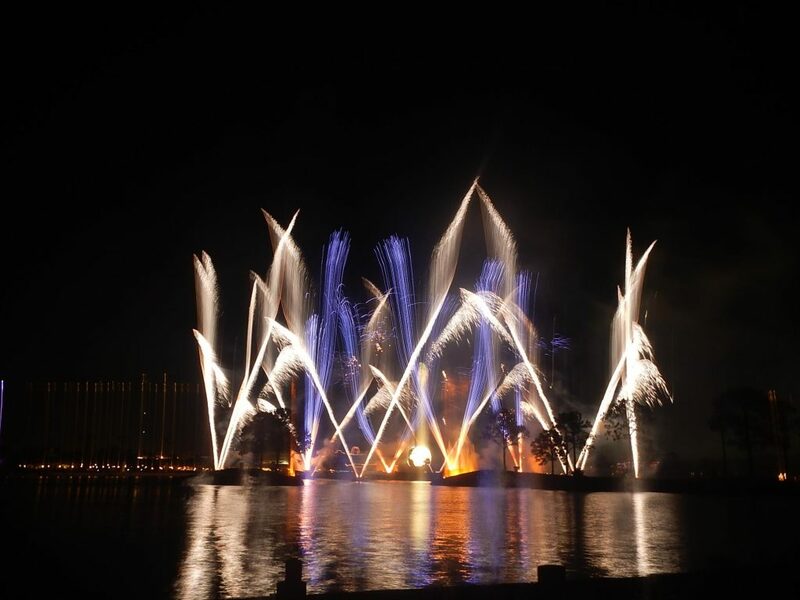 The great news is you can experience a fabulous Adventures by Disney tour right now at the Walt Disney World resort! Yuletide Fantasy and Holiday D-Lights are festive tours to experience during Christmas at Disney World. 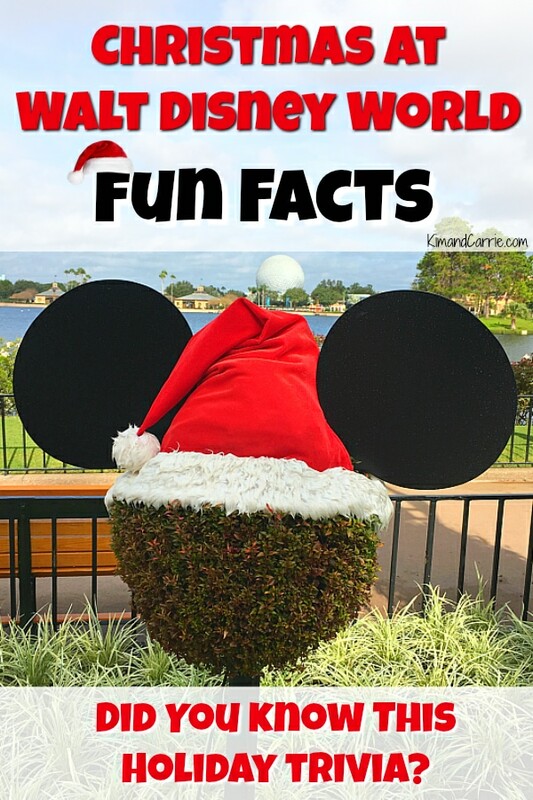 During the holidays, Adventures by Disney has two holiday themed tours backstage at Walt Disney World. These magical tours give you a sneak peek into what it takes to create Christmas time magic at Disney’s theme parks and around Walt Disney World Resort. It takes a village, y’all, to create this much Christmas magic! Truly is the most beautiful time of the year at @waltdisneyworld. 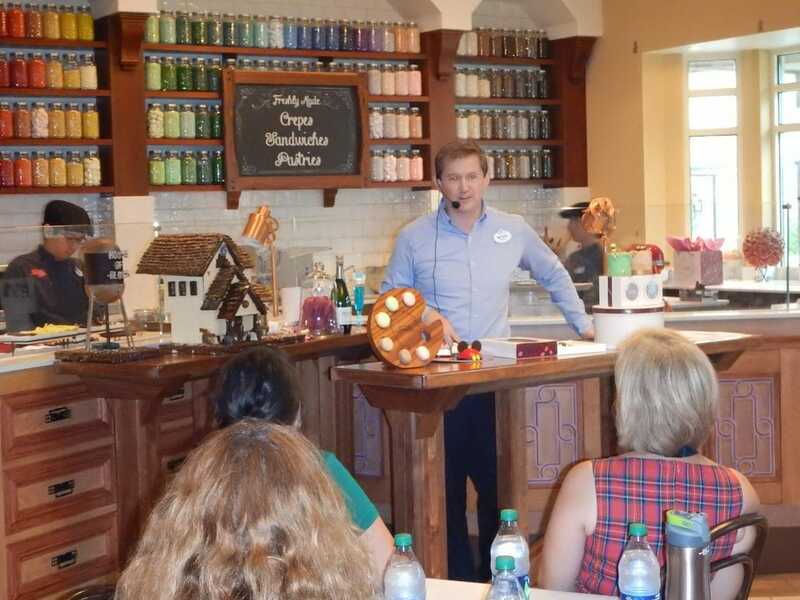 We had a media sneak peek for the Adventures by Disney tours during a Christmas in July event. I was thrilled to help out my friend Serena from Living By Disney by attending the event for her because of a schedule conflict. (And if you’re not following her Instagram account, you don’t know what you are missing!) So check out her site for some great information, too! 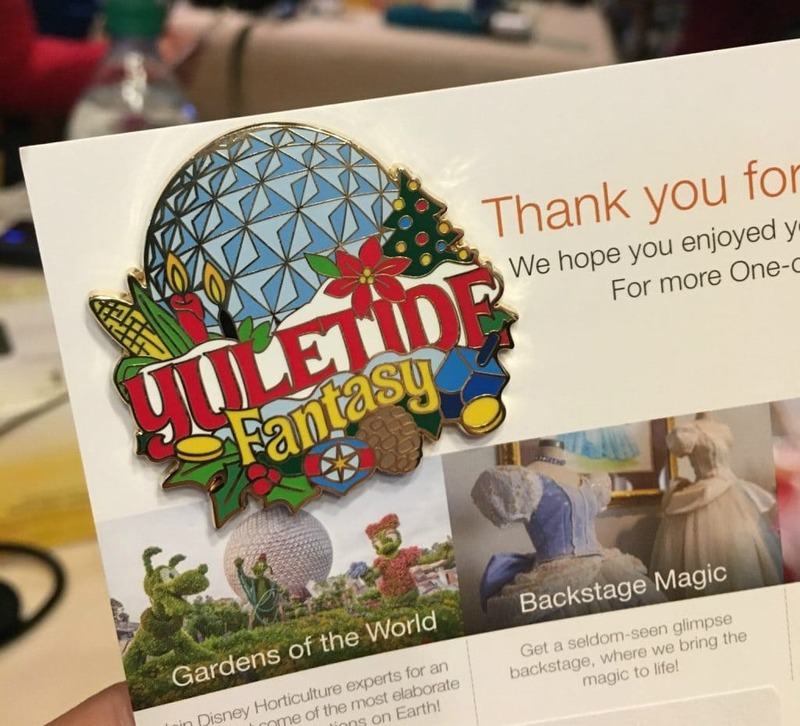 While we didn’t get to do the entire Holiday D-Lights Tour, and the Yuletide Fantasy Tour was a bit modified because it was July, we got a great taste of how special these Adventures by Disney programs are. They would DEFINITELY be a great addition to your Christmas time Disney World vacation. 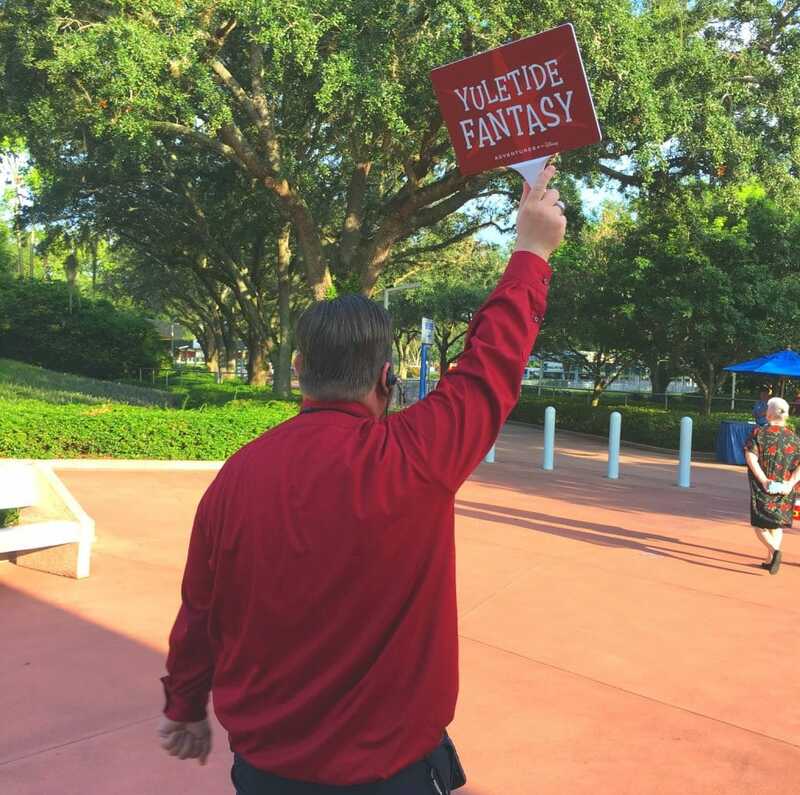 We did experience the entire Yuletide Fantasy Tour with Adventures by Disney. 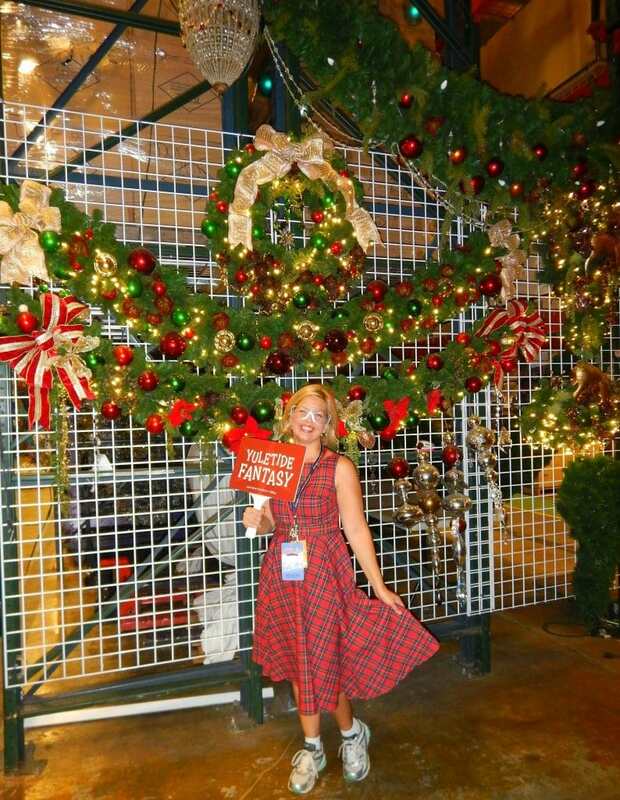 And even in the heat of July, I left feeling giddy with Christmas spirit after this magical backstage experience. 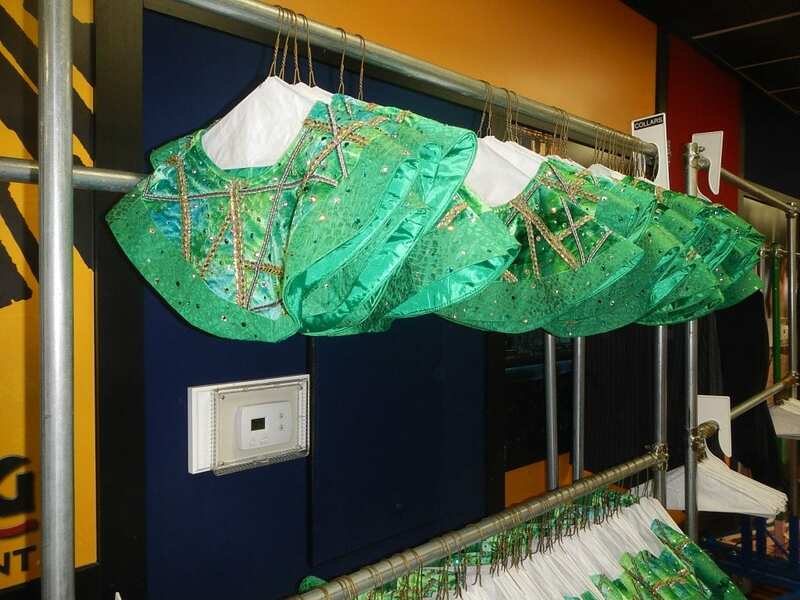 Because it was almost entirely backstage, it’s hard to share photos of the Yuletide Fantasy Tour. Just keep in mind that what you see is so secret and so unique that there is a reason you can’t take photos. And THAT’S EXACTLY WHY YOU WANT TO TAKE THIS TOUR! Adventures by Disney will take some photos for you during the tour. 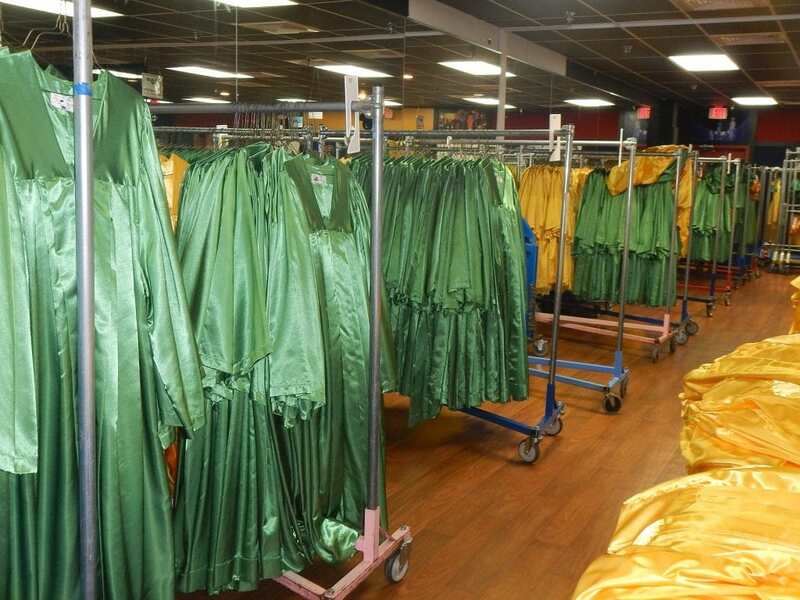 You will have access to the photo library afterwards to download the photos. 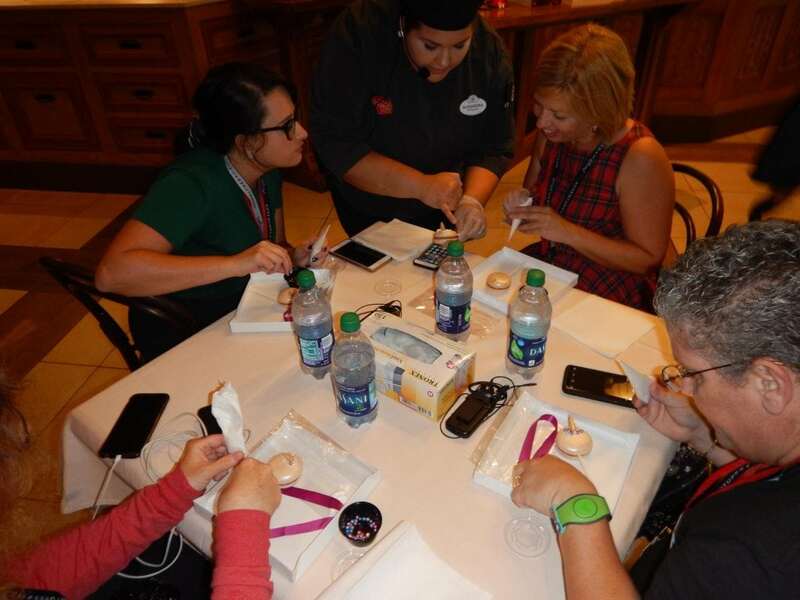 The 3.5 hour tour brings guests backstage to see and hear about the staggering logistics that it takes to create Christmas magic at Walt Disney World resort in a matter of days. 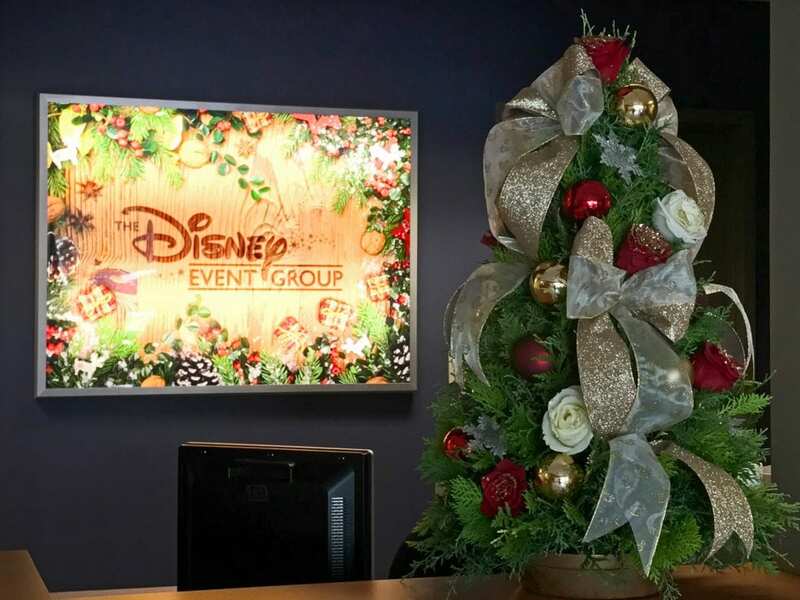 You will go inside Holiday Services to see the holiday decorations used at Disney World throughout the year. It is truly fascinating to wander the aisles and see crates and bins of the decorations that you know and love from throughout Walt Disney World. Keep in mind this is a working backstage. You will need to wear safety goggles and closed toe shoes (even in the photos). You’ll then go to Disney Event Group. 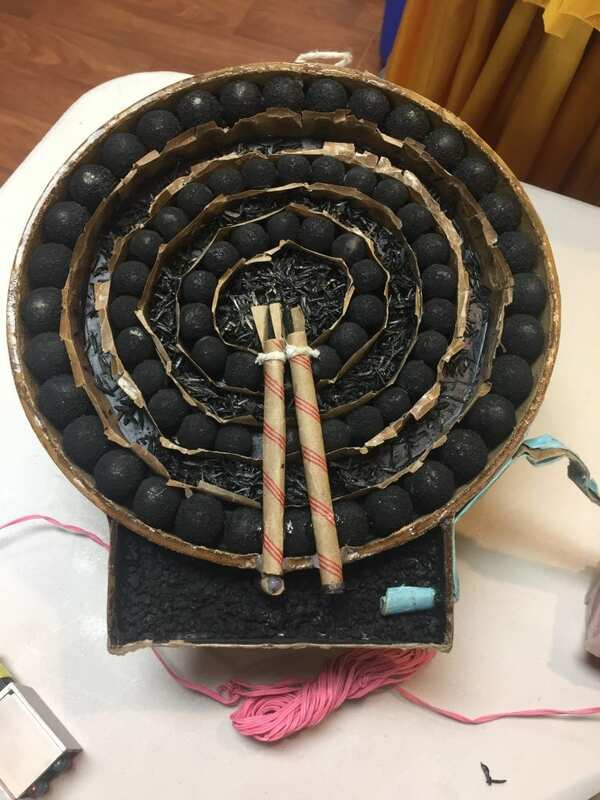 This is where so much of the magic starts for guests, from custom celebrations to special gifts they will be surprised with in their rooms. If you order a Christmas tree to be delivered to your Disney resort room, your holiday tree will come from here. 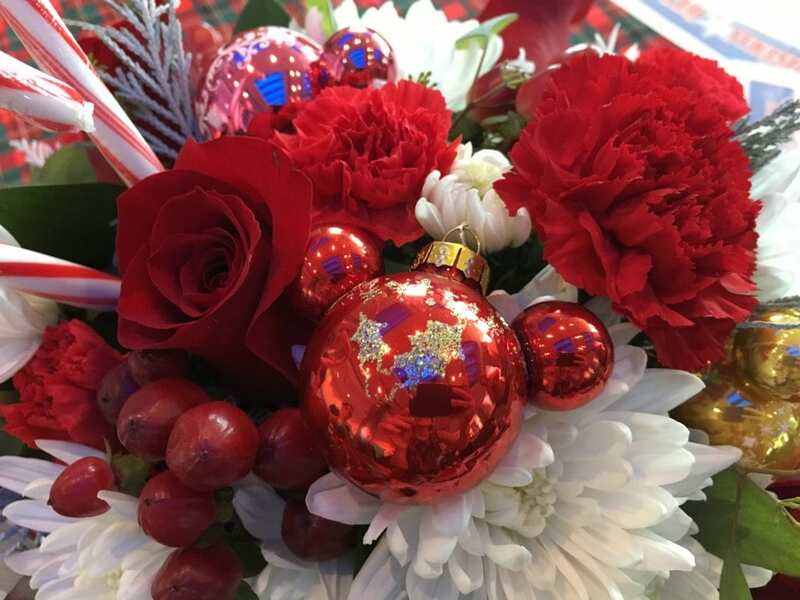 In Disney’s Floral Department, you’ll see behind the scenes how the flower arrangements, gift bags and other specialty items are crafted and lovingly created before being sent to Disney guests or used in weddings and conventions. We actually walked through the enormous flower cooler (the doors are on the left in the picture above) and it smells divine! Finally, you’ll head to Disney Springs at Amorette’s, where you’ve got some holiday decorating to do! This is a fun photo opportunity as you get to decorate gingerbread men! (For our Christmas in July preview, we decorated seasonally appropriate unicorn macaroons, instead!) While you can buy the gingerbread men at Amorette’s during the holiday season, this is the only time that guests are actually able to decorate their own gingerbread men at Amorette’s. Don’t be surprised if you are gifted a unique pin after the tour, too! 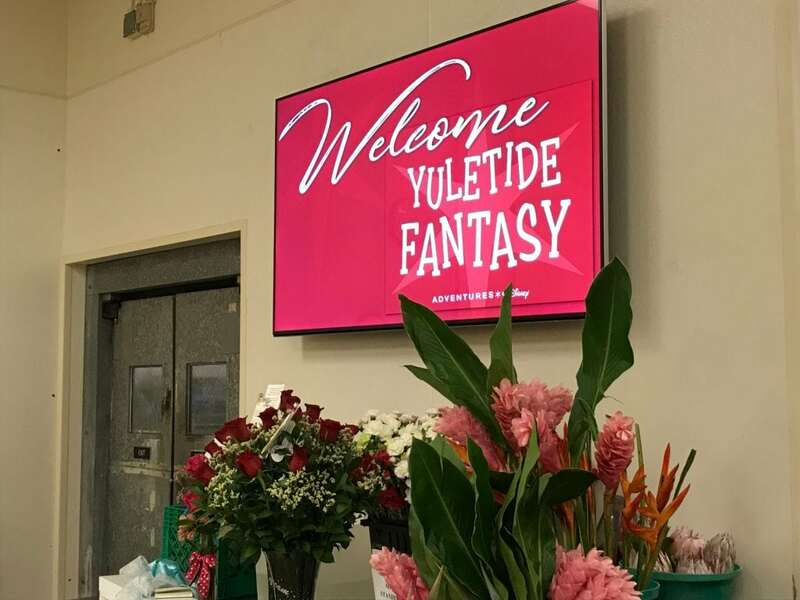 Yuletide Fantasy 2018 tour dates are from November 19 – December 29. The cost is $139. The 3.5 hour tour starts at Epcot and ends at Disney Springs. You can either take the bus transportation back to Epcot, or stay at Disney Springs. 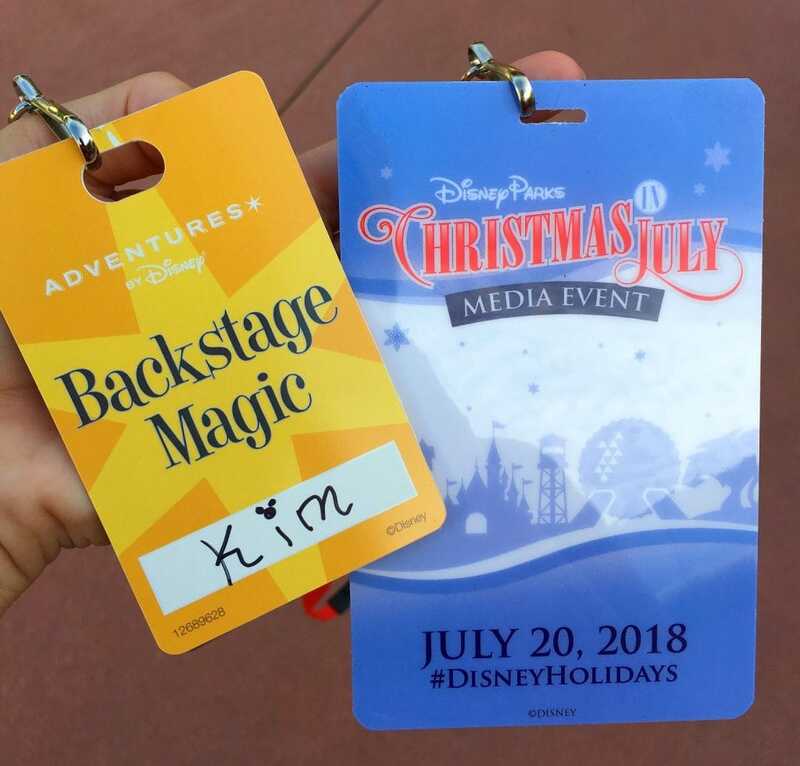 During our Christmas in July media event, we just got a brief taste of what the Holiday D-Lights Tour will be like with Adventures by Disney this year. The 6-hour tour goes backstage at two theme parks (Magic Kingdom and Epcot) during part of the tour. You’ll talk with Disney cast members from Event and Decorating Support who will tell you more about the secrets of stringing Cinderella Castle with holiday lights. The Holiday D-Lights Tour will let you enjoy the Candlelight Processional, as well as Illuminations: Reflections of Earth. A meal is provided at Wilderness Lodge. 2018 Tour dates for Holiday D-Lights with Adventures by Disney are November 26 – December 20, 2018. The cost is $279 per person. You will receive a special holiday pin with the tour. Nets on turrets are painted blue to match the background. Nets on the stone walls are colored tan to blend in. 98% of all holiday lights are LED. The other 2% are not LED due to special needs. The Magic Kingdom Christmas tree is 65 feet tall, weighs 18,000 lbs. and has a 26-foot wide base. The Contemporary Resort’s Christmas tree is 70 feet tall. Disney’s Animal Kingdom Lodge’s Christmas tree is 45 feet tall. Share the Disney Trivia – or Pin it to Look at again later! P.S. Love the dress? Find it online here. You won’t believe how much it cost!